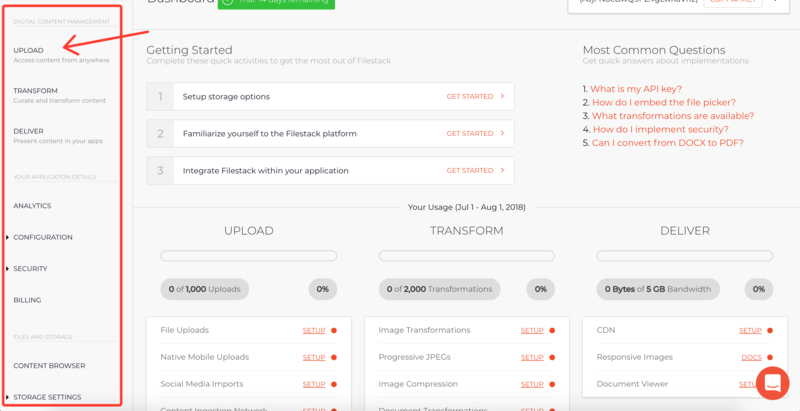 Introducing the revamped Filestack Developer Portal. When this project began, the most important goals in mind were arming our users with more functionality, and making access to their data as easy as possible. Paired with a switch to a full featured trial, the new developer portal should act as a guide to getting started with Filestack while serving as the command center moving forward. 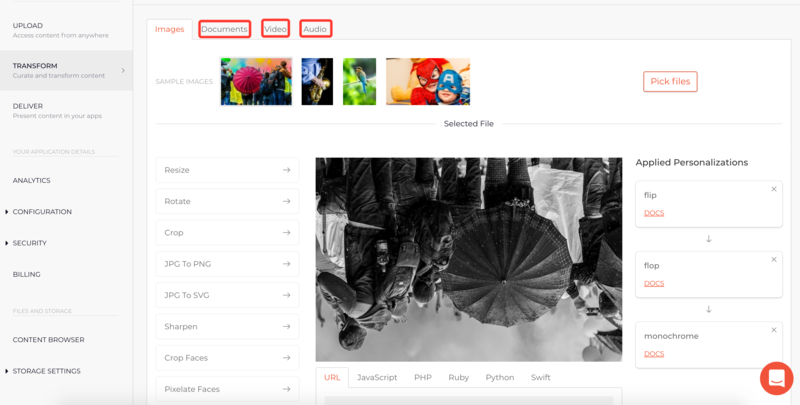 This blog will cover the new layout and features available in the all new developer portal. Keep reading for screenshots breaking down the different sections as well as how to take advantage of the new functionality. 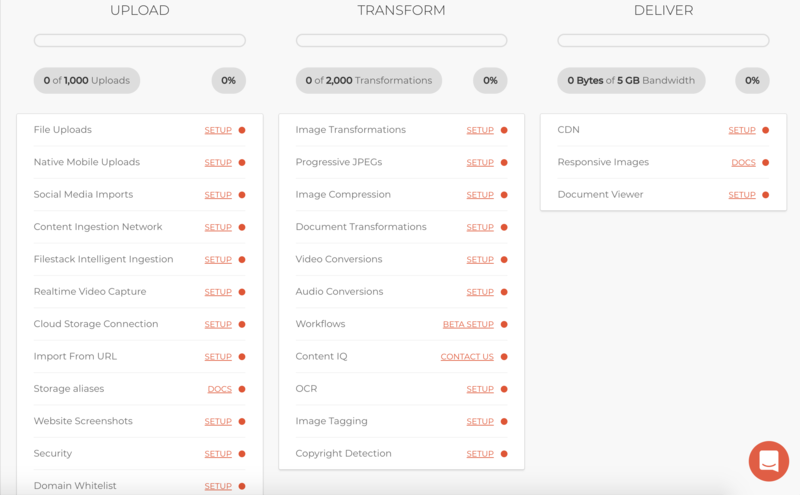 Under each category are features that come with any plan (uploads, transformations) as well ad advanced features (Intelligent Ingestion, Image Compression, Document Viewer). Every feature has an accompanying link to start using it in action or the documentation to help you get started. All of these features are standard with our new 14 day free trial. In this example, an image has been flipped, flopped and given a monochrome filter. This is only one use case of what you can do with transformations in the developer portal. Highlighted by the red boxes in the screenshot, you also gain access to converting documents, video and audio files to different formats to best fit your use case. 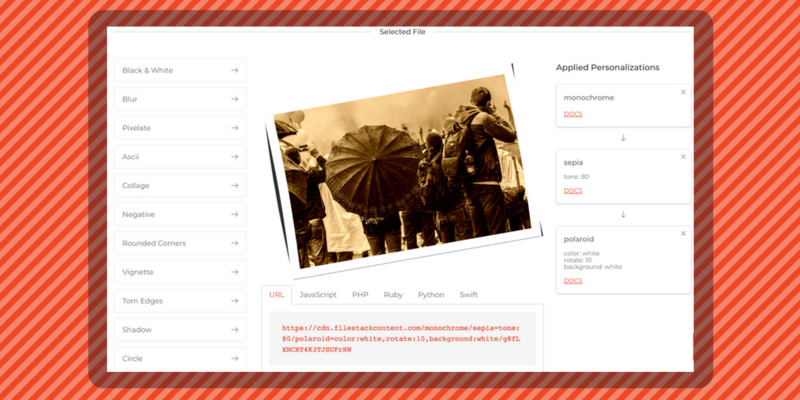 Highlighted by the red box, the final URL shows the output format ended up being pjpg, otherwise known as a progressive JPEG. This section will be very handy to look into if one of your challenges is delivering files consistently to a global audience. This section of the developer portal is best approached after you have read the accompanying documentation. The documentation to these features is included in the developer portal as well as in this blog. You can also set up Whitelisted Domains in the security section, which restricts your Filestack implementation to load to specific domains. This was only a brief summary of what you can do in the developer portal. 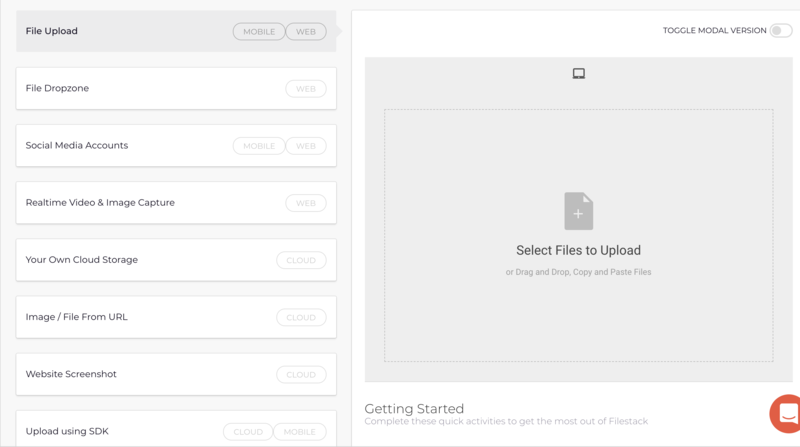 We encourage you to try out all of the upload, transform, and deliver options as well as integrate your cloud storage. Feel free to leave any question or suggestions in the comments, and we hope you enjoy the new Filestack Developer Portal. Should You Be Using OCR for Tax Documents?